Whether it is about visiting the fascinating sites like Angkor Wat or enjoying the company of very friendly and adorable people, the journey of the enigmatic kingdom Cambodia will be a journey of lifetime for every avid travelers. By joining hands together for the development programs to resurrect this country recovering from its turmoil of the past, you will put your efforts to bring some changes in education, empowerment and other aspects of development. It will definitely take few more years to achieve that radical transformation in the socio economic development of Cambodia, but with the help of energetic altruists around the world, that goal is definitely achievable. In promoting the sustainable development goals, this project aims to help the local communities in Cambodia empower their skills and gradually improve their living condition ensuring zero hunger and no poverty vision in SDG2030. As a volunteer, you will be dedicated to community development works and help organization to achieve its goals. Volunteer FDIP will find you the best place for you to contribute your skills, time and presence. Volunteer, upon their interest, can also prefer to work in the women’s development, children development and in peace promoting programs. Your skill is the key to the type of work you will be matched up in Community Development Programs. It is not compulsory for you to know Khmer, the national language; but learning basics can be beneficial to you during your project. Volunteers with background in development studies or having experience in the relevant field are encouraged to apply for this program. You can help on the desk or on the field as per your capability and interest. There are varieties of programs like childcare development, adult literacy, library development, fundraising, trainee resource assistant and many more. Healthcare Program is among the needful program in Cambodia. This programs aims to promote good health and well-being of the people who are deprived of basic health facilities in Cambodia. You will be working either in public or private hospitals/clinic. The health institution also conducts its outgoing programs which are focused on helping the disadvantaged children and deprived community locals. Depending upon your knowledge, skill and experience, your task may differ from providing basic first aid service to consulting services. This program is meant for medical practitioners, professionals and students. You must submit your medical credentials and certificate in apply to this project for the eligibility test. 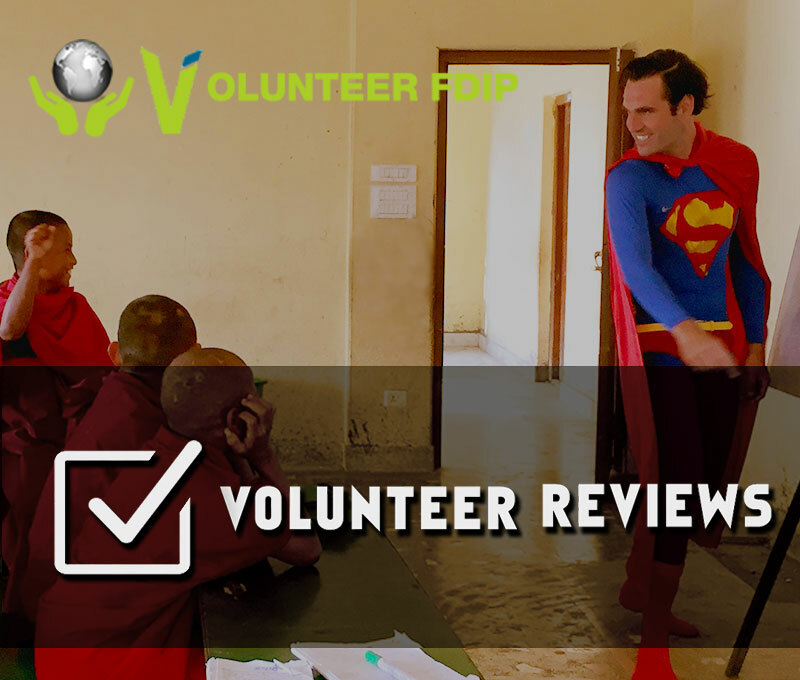 After the Volunteer FDIP checks your documents with the volunteering medical unit and verifies that you are fit for the task, you will be provided the eligible certificate. Language is not barrier as you will be provided with translator in the field, if required. You must have intention to help and serve others, and should be friendly with everyone. You must be 18 years or older to apply for this program. Like many other South East Asian countries, English is a very important language for Cambodian people too. Being proficient in English can open the window of opportunity to the students of Cambodia. For communication, entertainment, higher education and administrative works, English language is used exhaustively across the country. Therefore, it is obvious that the demand of English language teachers and instructors is at the peak. In such scenario, if English is your primary language, or if you have acquired the proficiency in this language and you are willing to share this skill, then your contribution as Volunteer English Teacher in Cambodia can make a significant impact to the future of the Cambodian kids. Many children in Cambodia are still deprived of the basic rights, especially homeless, abandoned and disadvantaged kids are struggling with the mal nutrition and marginal life condition. Participating as a Childcare Volunteer Program in Cambodia, you can contribute your skills and ideas to change this situation. While volunteering in this program you can share your love, care and compassion to the kids. You can also share your education and knowledge with them to harness their understanding of the world. If you have good writing skills or the experience of fund raising, then sharing these skills to the childcare centers of the Cambodia can empower them to raise funds for these kids. If you have good management and communication skills, if you possess nice command in English language, or you are just a student looking for a real life working experiences of internship, then working with our NGO Development program can provide you the hands on experience of working in social organization of a developing country.